1797 Draped Bust dollars are among the scarcest issues in the Draped Bust dollar series designed by Robert Scot. Collectors will notice these rarity of the 1797 dollar in the incumbent challenges of locating these coins in the general market. 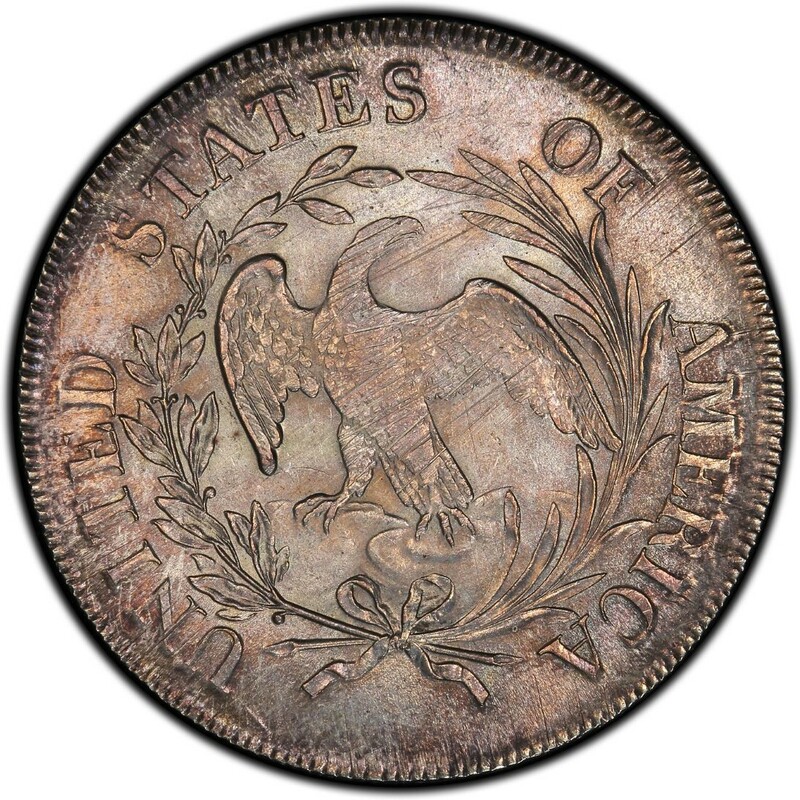 The 1797 Draped Bust dollar was made in very small quantities and, complicating matters even more so for early American dollar enthusiasts is there are several potential varieties to collect. 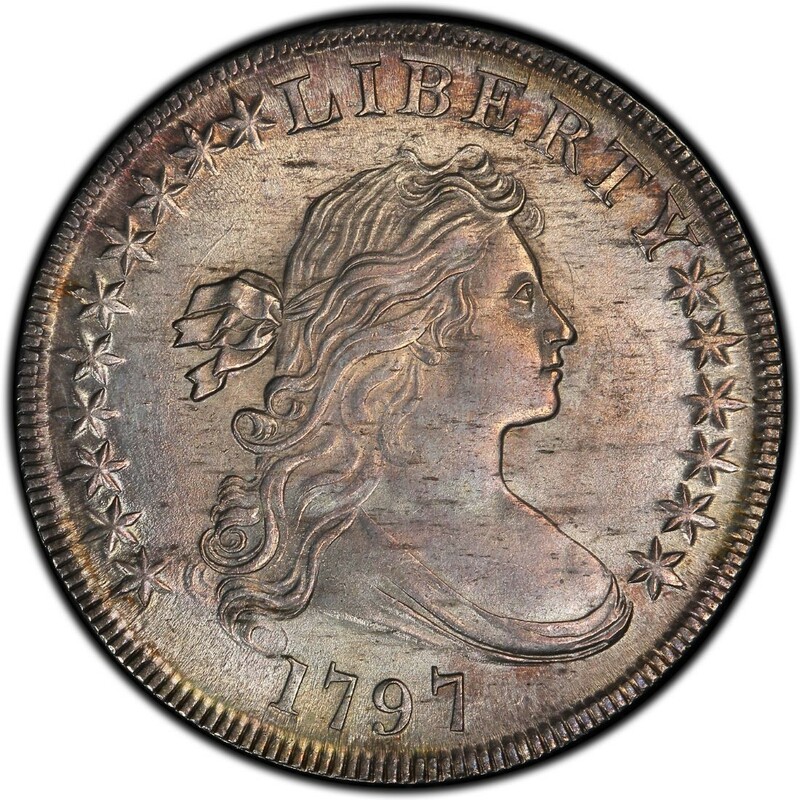 This adds up to one thing – it can be very expensive to buy 1797 Draped Bust dollars for a coin collection! In all, just 7,776 Draped Bust dollars were made in 1797, which is a relative drop in the bucket even when compared to other issues in the Draped Bust dollar series. For example, there were nearly 80,000 Draped Bust dollars minted in 1796 and more than 327,536 in 1798. Those numbers don’t reflect current population figures – those are much lower – but even still, 1797 Draped Bust dollars are generally scarcer than most other Draped Bust dollar issues. Numismatists estimate that there are approximately 3,300 surviving 1797 Draped Bust dollars across all grades, with most of these exhibiting some type of problems such as cleanings, holes, gouges, or other issues. Problem-free 1797 Draped Bust dollars generally sell for about $1,500 and up in a grade of Good-4 or better. Uncirculated specimens cost around $65,000 or more. Virtually all identifiable 1797 dollars, even those with severe issues, have a general base price of at least $500.